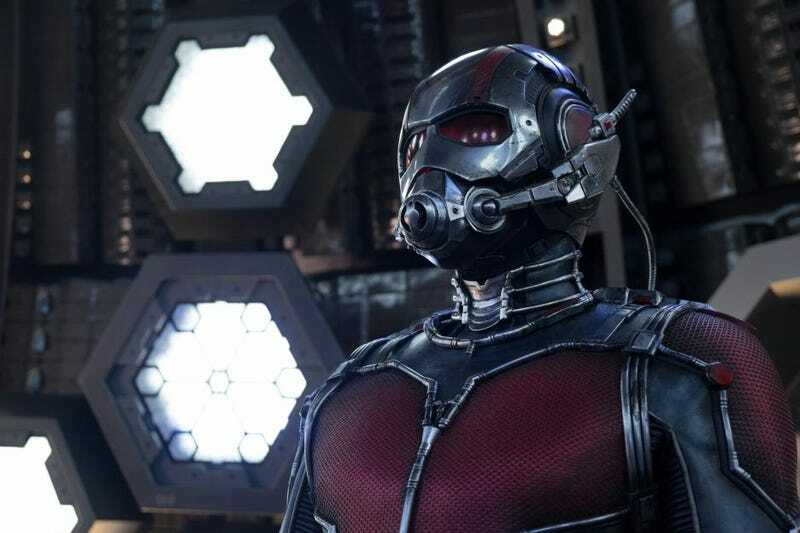 The Ant-Man Blu-ray hits on December 8 and, as usual with Marvel movies, is filled with lots of fun extras. A few of those have made it online including multiple deleted scenes, each of which is pretty entertaining and interesting—and one of which is hiding a tease to a major Marvel villain. First up is this scene, in which Darren Cross (Corey Stoll) shows some potential real world uses for his shrinking technology. The key here though, is the tattoo on the buyer at the end. That’s the Ten Rings of the Mandarin. However, since this scene was deleted, it’s unclear if this Mandarin Easter egg should be taken seriously or not in the MCU. Next is this funny scene between Scott (Paul Rudd) and his daughter, Cassie (Abby Ryder Fortson). It’s basically just Paul Rudd being Paul Rudd and doesn’t add a ton, especially since the movie itself does a great job of showing us how important this relationship is. It’s still cute, though. And then there’s this clip, which we ran over the weekend, but figured we’d throw in here again in case you missed it. This would have been the first introduction of Hank Pym, but director Peyton Reed (who you hear on the commentary of all of these) felt it didn’t quite fit. Want more Ant-Man? Of course you do. Here are a few other featurettes from the Blu-ray, which hits on December 8. It’s available on digital download now.